What’s the Best Major for Law School? If you are preparing to choose your undergrad major with an eye toward ultimately becoming an attorney, you might think that the obvious choice would be pre-law or criminal justice. But you might want to think again. There’s hard evidence that you could be better off heading in a different direction if you want the best possible chance of being admitted into law school. Michael Nieswiadomy, a researcher in the University of North Texas Department of Economics published a paper examining how students in different majors performed when they took the LSAT. He used data from the 1994-95 and 2002-2003 school years and found that physics and mathematics majors scored an average of 160 on the test, with economics and philosophy majors tied for second with an average score of 157.4. Surprisingly, pre-law (average LSAT scores of 148.3) and criminal justice majors (146) were at the bottom of the list. A law professor at Pepperdine University conducted a separate study that produced similar findings. Derek Muller studied applicants who had taken the LSAT using 2013 data from the Law School Admission Council. Like Nieswiadomy, Muller found that pre-law majors had an average score of 147.1, which ranked 40th out of 46 majors analyzed. Criminal justice majors (143.1) ranked No. 46. There are a lot of theories as to why this is the case. Some believe that the people who tend to gravitate toward pre-law and criminal justice are simply poor test takers. No matter what major they chose, there’s a fairly good chance they would not perform well on the LSAT. But there could be a deeper reason that these students not only have a difficult time with the LSAT but can also have a tough time getting into law school. A lot of pre-law and criminal justice programs tend to inflate grades. As a result, law school admissions officials often look a little more skeptically at students who majored in those study areas. While those majors in and of themselves won’t automatically disqualify you from law school, you better not have a low GPA. You more than likely are already aware of the fact that law schools first look at your LSAT score and your undergrad grades when making acceptance decisions. But you also know that not all majors are created equal when it comes to GPA. A law school administrator will likely be just as impressed with a 3.5 GPA in physics as a perfect GPA in liberal arts. Don’t pick a major just because you know you’ll be able to make great grades – find something that truly interests you, but one that will also require deep study. Anything that will require a great deal of reading as well as writing, such as English, could help give you a leg up when it comes to LSAT prep. Philosophy is another major that could be helpful, because it demands that you use deductive logic on a regular basis – much more than other majors. These majors, as well as history, also help students develop the critical thinking skills that will not only serve them well in law school, but in their practices as well. These are extremely valuable majors, and law school admissions officials are well aware of that. 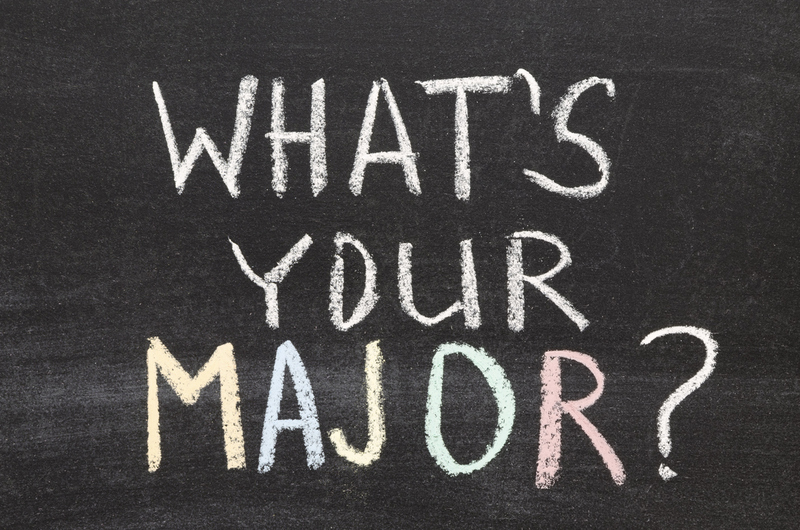 Regardless of the major you choose, make sure it is something you’re passionate about and that you will truly enjoy. Whether it helps you with law school or not, it will eventually pay significant dividends down the road. A lot of law schools will look at not just what you did in the classroom, but also what you did in the community. The more well rounded you are, the better the chances you’ll get in. Try to take time to volunteer whenever you can. Not only will it look good on your application, you’ll also be doing something you’ll be proud of for the rest of your life. Also, do whatever you can to improve your logical skills outside of the school setting. Puzzles are a great way to stay your sharpest, as are friendly debates. Try to engage your friends in discussions from time to time – just to make sure things don’t get to serious, always preface them by reminding them you’re trying to hone your skills for law school. Join your school’s debate team if it’s available. Get as much real-world exposure to the law as you can. Whenever you have the time, think about going to a courtroom to see how real attorneys operate. We know this is a very exciting time for you, but it can also be confusing – even scary. Even if you are laser-focused on ultimately becoming a lawyer, don’t let that ultimate goal be the sole determining factor in what you study as an undergrad. Follow your gut, find something you’re passionate about, and apply yourself. Great things will ultimately happen.